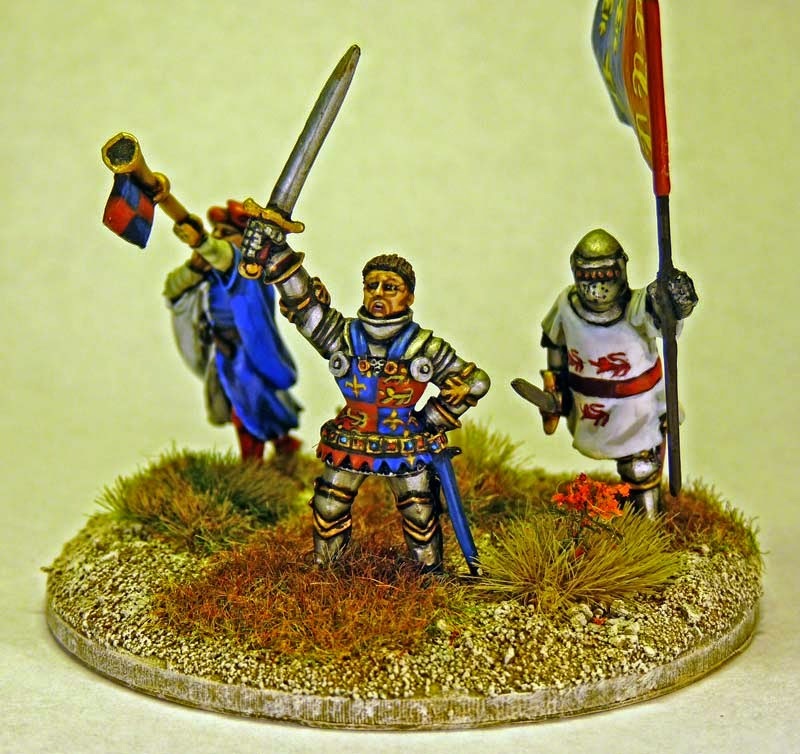 I'm rather keen to make the Henry V vignette (below) to take on a more dynamic appearance. 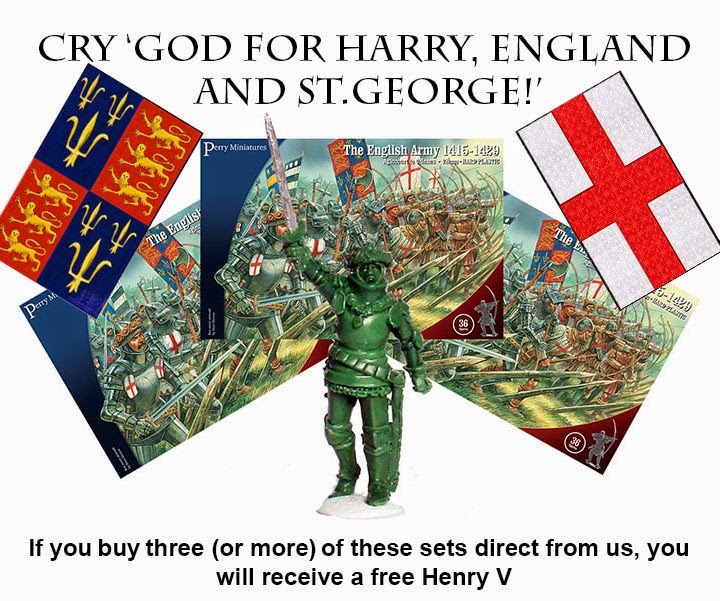 I also want to replace the Front Rank Henry V model with the one I got free with the Perry Miniatures HYW English Boxed Set. The more dynamic pose of the Perry Henry calls for some lavish attention and the stand need more banners and variation. It is for this reason that I thought I'd kill two birds with one stone and show two slightly different techniques for painting armour and heraldry. 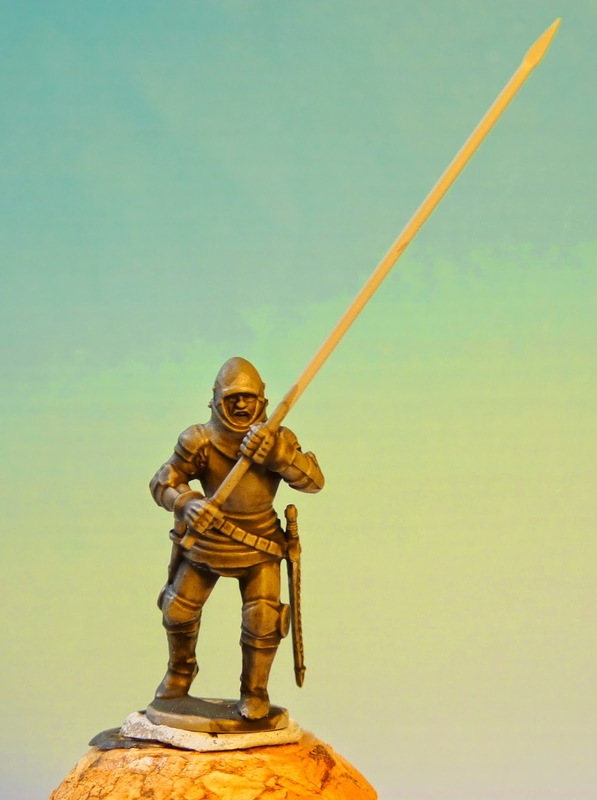 In the case of Henry V, I undercoated his black with Halford's Black Primer, this has quite a Satin sheen to it and is not entirely to my liking. This can be remedied when applying the base coat as I use Andrea Flat Black which really allows one to see the details on the model. 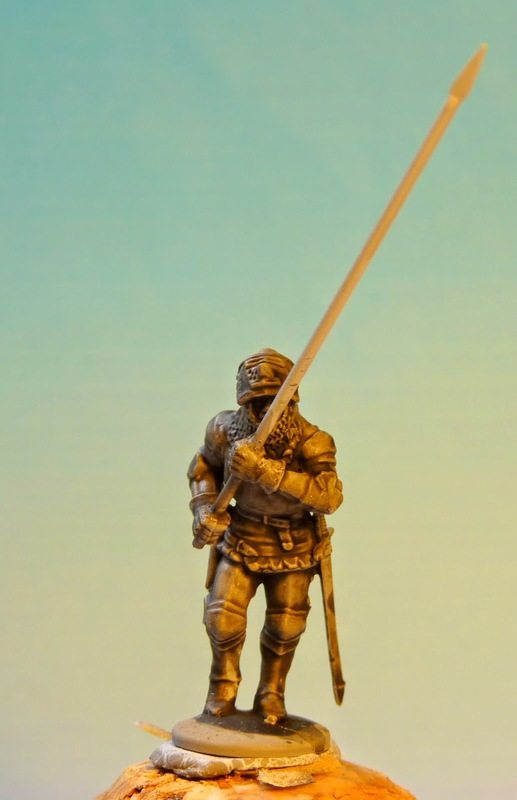 The pic below shows the model with a coat of Halford's primer and the initial drybrushing of the armour. I use GW metallics as I think they're the best available on the market. 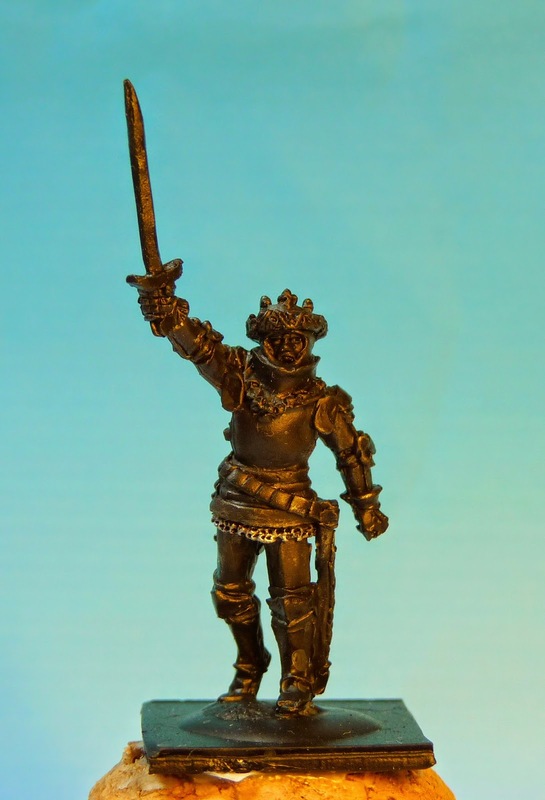 Sometimes if I'm painting armour that I want to depict as being 'out in the field' I will use Vallajo Oily Steel which gives a pleasing off colour, just be careful not to highlight too high if using this hue. So it's just the GW three stage dry brushing and then paint over any areas where the brush may have strayed. That should give you the basics of the two different methods. Next will be the painting of the armour itself to be followed by the heraldry and other items of equipment/adornment. Impressive minis...and splendid vignette on the frst pic!